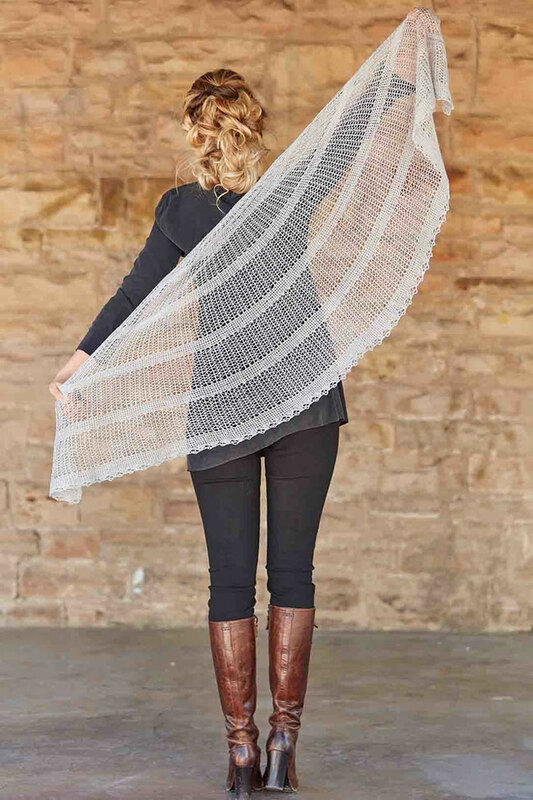 Crystal Palace Shawl - monemades Webseite! The latest issues of Knitting Traditions 2017 is now available and as always it is a travel back in time. This issue takes you to the Great Exhibition of 1851, an event that inspired World’s Fairs for more than a century. If you'd like to know more about the Great Exhibition, there's tons of information on the internet, for example here, on Wikipedia. The magazine contains 18 projects, split into three themes 'The World's Fair' story with articles and projects inspired by the Great Exhibition, 'Curiosities' based on the wonders of ancient Egypt and other exotic places and 'Knight on the Town' with medieval-inspired knits. 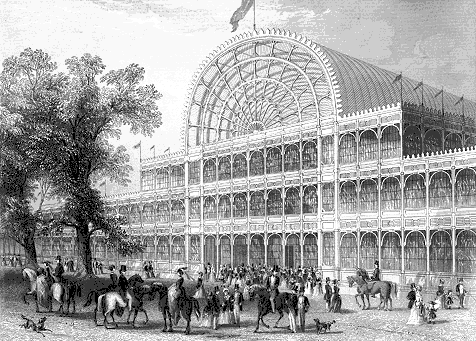 When I read the call for submission a while back, what came to my mind first was the impressive building set up to house the Great Exhibition, the Crystal Palace in Hyde Park, London. It was one of the monuments of 19th century architecture. Built from iron girders and glass, pre-fabricated and then assembled onsite, the building had a never seen before open and airy appearance, which was copied for many buildings to come. 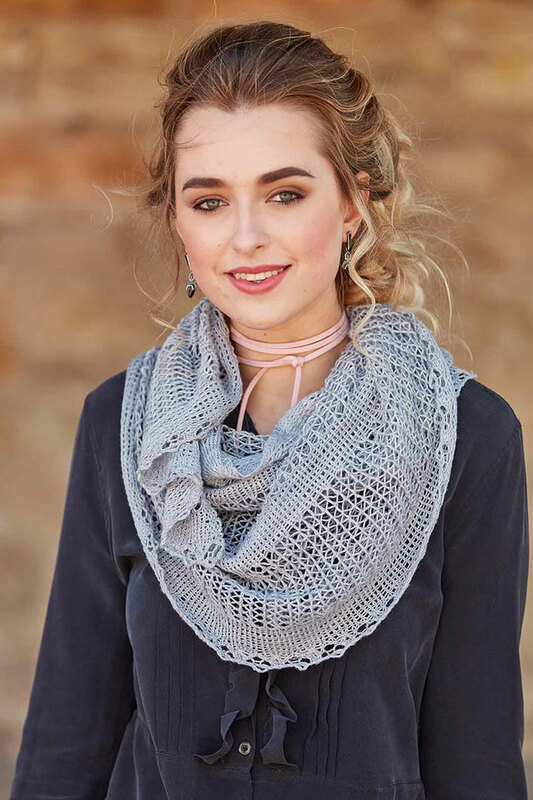 My contribution to the magazine, the Crystal Palace Shawl is a semi-circle shaped shawl knit from the top down. Stripes in twisted Stockinette stitch to symbolize the iron-cast girders alternate with wider stripes in a Shetland lace pattern to symbolize the huge window panes. The shape was chosen to resemble the entrance halls ceiling. 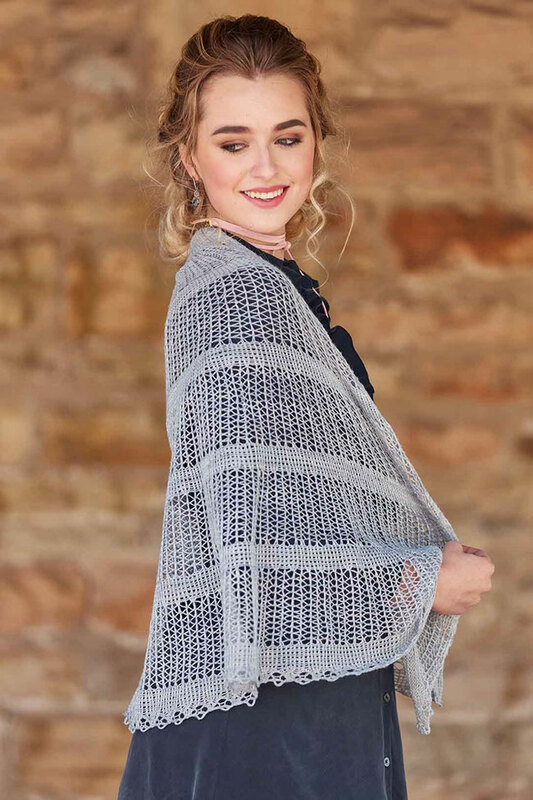 The shawl was knitted in SweetGeorgia Yarns Merino Silk Lace, a soft and springy lace weight yarn from 50% cultivated silk and 50% merino wool. The sheen of the yarn even more enhances the fact that the inspiration for the design was a glass building. 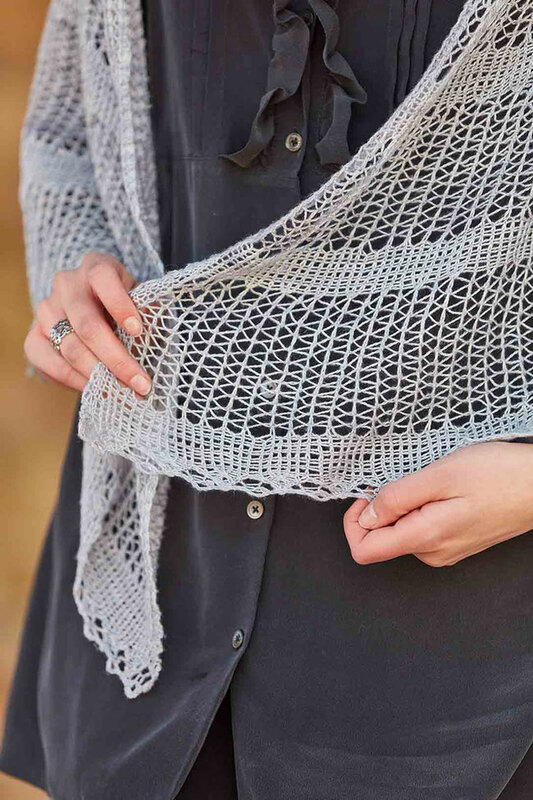 There are quite some twisted stitches to work for the stripes in twisted Stockinette stitch and the lace pattern is a true lace pattern with patterned right and wrong side rows, but all the work is so worth it, don't you think? I hope you'll enjoy the pattern and I can't wait to see your Crystal Palace!